Proud to partner with Mozilla to protect your privacy. Our tracking protection lists power privacy for tens of millions of users. Try out our iOS and Android apps to protect your entire device from tracking inside your apps. 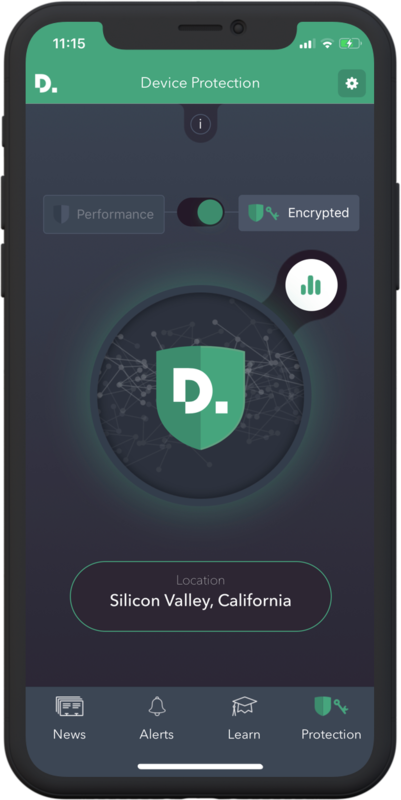 Named the favorite privacy tool of the New York Times in 2016, 2017, and 2018, Disconnect offers simple to use and powerful protection that is trusted by over 50 million people. Disconnect Premium blocks and shows you tracking across your entire device, protecting you inside all the apps and browsers you use. Our VPN encrypts all your traffic and changes your IP address, which makes it harder for others to access and track your online activity. Disconnect never logs, tracks, or collects any of your online activity or personal information, except the information you explicitly volunteer. Accelerates page load speeds by up to 44% and reduces bandwidth by up to 39% depending on your device usage! Unlike browser specific products, Disconnect Premium protects you across all your applications, including all mobile browsers. Save up to 50% on complete device protection for you and your family! Tracking is the collection of data regarding a particular user's activity across multiple websites or applications that aren’t owned by the data collector, and the retention, use or sharing of that data. Our definition focuses on collection AND retention. So, for example, the definition wouldn’t apply to sites that log an IP address, but don’t save that information in a database. The definition also focuses on particular users, so data that is immediately aggregated doesn’t apply. And the collection is across context, so it doesn’t apply in cases when there is solely a first-party relationship with the user, for example the site only collects and retains information on site visitors. “Trackers” are those services that we’ve identified and determined meet the definition of tracking above. Disconnect compiles several lists of trackers. The open source list of trackers that power our browser extensions, Firefox’s private browsing mode, and many other popular privacy tools can be found here, along with a change log and notes. Or you can view a simple list of blocked trackers here. Example changes to this tracker list can be seen below. Please submit feedback here. Disconnect strives to find the balance between privacy, security, usability and promoting a better Internet for everyone. These concerns drive our decisions in regards to trackers we block and don’t block. We also generally unblock tracking sites that require users to transparently and explicitly opt in to collection and retention. We also unblock trackers to provide a better user experience, based on the three types of evidence listed below. These unblocked trackers will appear in what we call the Content portion of our list. For some of our products and services, users can choose to block this portion of the list as well. Internal testing. While we cannot test against the entire web, we do test our product on several sites that have a high number of trackers to identify additional domains that should go on our unblocked list. User experiments. We also use external testing services to run user experiments and identify additional problems with our products and tracking list. All of the trackers we’ve identified but don’t block, along with a change log and notes, can be found here. Or you can view a simple list of unblocked trackers here. Example changes to this tracker list can be seen below. Please submit feedback here. Advertising: A tracker which also displays ads or marketing offers. These types of ads can track your personal information and expose you to malware, even if you don’t interact with them. Analytics: A tracker which collects your information and may build a profile based on your online activity that can be connected with your real name or other unique identifier. Cryptomining: A domain may be classified as cryptomining if it can cause the user's browser to mine cryptocurrencies without explicit user opt-in. Fingerprinting: A tracker may be classified as fingerprinting if it abuses browser or device features in unintended ways to identify and track users. Session replay: A tracker which records all actions a user takes on a webpage in order to recreate the user's session may be classified as a replay script. Social: A tracker may be classified as social if it uses tracking techniques that allow a social networking service to track your web browsing activities even when you are not on the social network’s website or app.